So I finally got my writing space set up this afternoon. 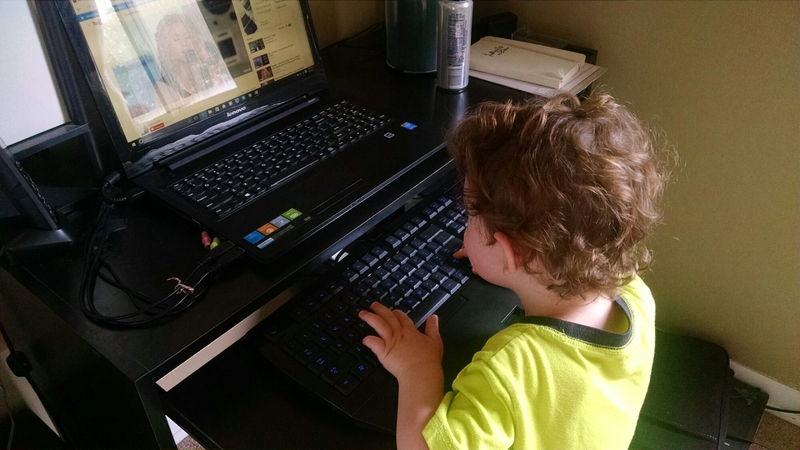 I usually work from my tablet, since it is difficult to play with and chase my toddler around the house, with a laptop and keyboard in hand. For the nights I can’t sleep or mornings I get up when everyone else is sleeping, I prefer to use my laptop, and type on a full-sized keyboard for several reasons. I can type faster than I write. This allows me to write more in a shorter amount of time. It also allows me to get my thoughts out quicker. I also find formatting much easier because I can use a mouse instead of my chubby finger, which often selects the wrong thing on the tablet. I can’t begin to even tell you how much I love One Drive. 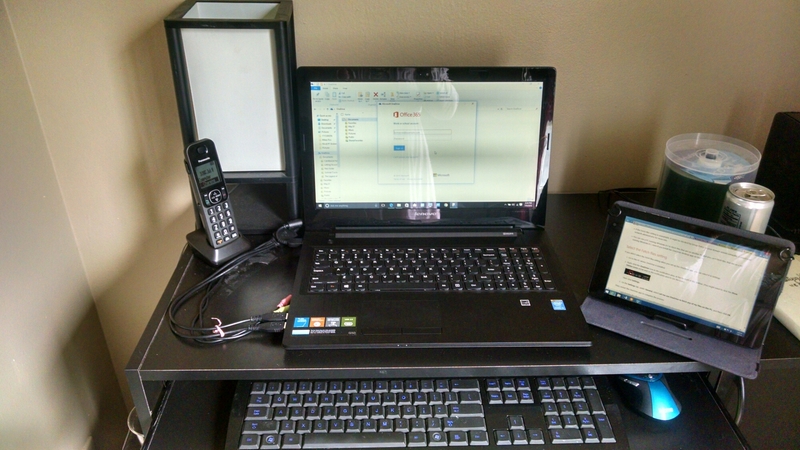 I can work from my laptop, tablet, or phone. Anytime, anyplace I can work on formatting, editing, and writing my book. Finally a space to call my own. Two more chapters and two hours later, I feel accomplished. My Son even had to try it out! Possible future writer? Maybe he will take after me. This entry was tagged Future Writer, Writing Life, Writing Space. Bookmark the permalink.